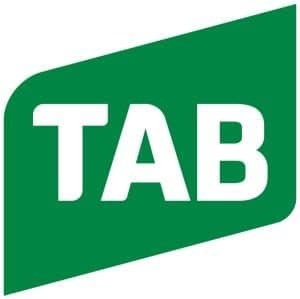 Paraphernalia finally found the outright lead in this year’s Mount Gambier Greyhound of the Year award when leading all the way to defeat Hutch by 1¾ lengths in 29.84 seconds in last Sunday’s Greyhound-Data.com Open Stake (512 m). Paraphernalia defeats Hutch at Tara Raceway last Sunday. Coming into the meeting the Jeff Guy trained Paraphernalia and Nicole Stanley’s Oh No Beta were level on 56 points, the former picking up another four points when posting his 13th win for the year at Tara Raceway. But the lead was short-lived when four races later Oh No Beta, after finishing unplaced the previous week, bounced back with an all-the-way win over Lektra Guiseppe in the Winningformula.net.au Open Stake (400 m) in 23.21 seconds. Both greyhounds now go into Sunday’s meeting on 60 points – Paraphernalia 13 wins, 3 seconds, 2 thirds and Oh No Beta 9, 10, 4. 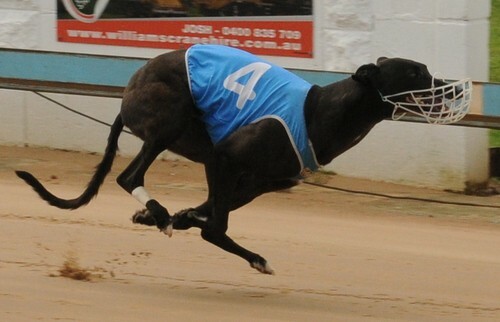 Stanley is looking well-placed to land her third successive Mount Gambier GOTY title after Old Jock – a similar type of greyhound to Paraphernalia – was successful in 2016 with 71 points and Fiorelli Rose last year with 67. Oh No Beta, pictured winning at Tara Raceway last Sunday, and drawing level with Paraphernalia in the Greyhound of the Year award. There are three Category 3 meetings remaining this year at Tara Raceway – December 9, 16 and 21 – for the pair to pick up points. In what has been a terrific battle, surely the best result would be a dead-heat for the two veterans, both with more than 100 starts to their names and a collective win tally of 64. Paraphernalia’s re-match with Hutch in the JB Irrigation Stake (512 m) on Sunday will be interesting after the pair’s clash last Sunday when the latter was resuming after a two-month injury break. Hutch should be better for the run, Portland trainer Robert Halliday saying later that he had been very happy with the effort and that the dog appeared to have pulled up well.